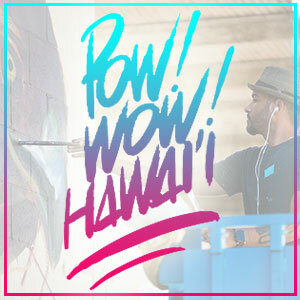 Taking place at the Honolulu Museum Of Art School as part of this year’s POW! WOW! Hawaii Mural Festival. On view February 3 through February 24 with an opening reception on Sunday, February 11 from 5-9PM with all of this year’s POW! WOW! artists attending. Come celebrate with us!!! For the fifth iteration of Thinkspace’s special exhibition in tandem with POW! WOW! 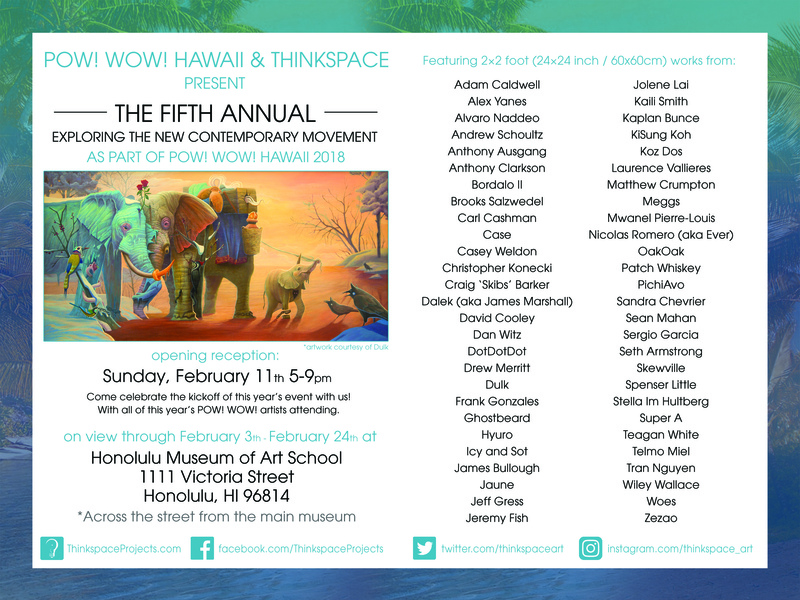 Hawai’i, we have curated a group of just over 50 local and international artists to act as a small survey of the burgeoning New Contemporary Art Movement for art lovers on Oahu and the world over via social networks like Instagram, Twitter and Facebook.